A cover letter is one of the most important documents that can either make or break your career. Hence a cover letter plays a key role to get a good job. This document is the main job application letter which determines your entry into getting the job. However, it is often seen that individuals who seek for a job do not pay sufficient attention while crafting it. There are certain points which are needed to be kept in mind before drafting a cover letter. Using the correct resume templates or curriculum vitae templates, enhances the overall view of the cover letter and also makes your cover letter stand out among the thousand others. Since the hiring professionals go through the cover letters, it is very much essential that it grabs their attention. The most important thing that should be kept in mind is that the cover letter should produce a striking appeal of your overall personality, along with the necessary details upon why you are eligible and perfectly fit for the required post. The best cover letter for job application mainly depends on what goes into a cover letter. The following mentioned are few cover letter tips and cover letter advice on how to write a cover letter for a job application and the excellent cover letter structures. Different types of cover letters are used for different purposes. A cover letter helps to understand whether an individual is registering or looking for a job post. You should choose a proper type of unique cover letter which highlights his personality before registering for a job or the kind of job you desire for. Your letter must be crafted purposefully for that single reason and tailored for every place you look for. For job applicants, it is necessary to furnish the details about their qualification required for the posting of the job. It makes the task easier for the hiring manager to understand if you are eligible for the post or not. Never write somewhat general words in a single line. In order to make your letter interesting, you need to be creative and craft your stock of words carefully. The usage of creative words brings freshness in your letter and reflects your personality. For example you can put the link of your LinkedIn profile on your cover letter. However you need to update the LinkedIn profile as well before highlighting it in your letter. It is important to understand that you realize the reason upon why you should be hired by a company for a required job. Hence in your cover letter you clearly state the reason upon how and why you can be an asset to the company. Companies usually hire individuals, who are fit enough to meet the demands of the company and help to meet its ambitions. Hence crafting a cover letter for job application is very much essential. The letter has to be unique and should speak about the values of the company. While framing the standard cover letter for cv do not go on writing about the skills you have, instead emphasize upon how your proficiency and knowledge will be benefitted by the company. You can reframe the sentences by beginning with letter ‘I’ which will reflect the organisation instead. When you construct the cover letter that speaks to the requirements of the organization, it describes your seriousness about the job post and why you are the most eligible candidate for the post, without openly commenting so. After conducting a research upon the company and the posting of the job, make sure that you include the keywords of the job and the company in your cover letter, particularly refer the words while mentioning your qualifications. When you highlight the proper career specific and industry specific keywords in your cover letter, it is bound to get highlighted among thousands of other great cover letters as it shows your seriousness, dedication and enthusiasm for the field. Before applying for a job you should do a thorough research upon the job and the company you want to get in. Go through the website of the company and the profiles of the employees. Just by reading a description of job is not enough. You are required to find out the hurdles that the organization is going through and how you can contribute yourself in solving such issues. When you know about the details of a company, it helps you to take a better decision on the right way while writing a good cover letter. Before venturing into writing a cover letter you should always follow the basic principles of cover letter writing, such as the font size should be precise, neither too large nor too small and easy on the eye. The choice of colour when choosing resume templates is also important, such templates are available online. The templates help to give your resume a professional look and impress the hiring managers. While choosing any resume template, always keep it in mind that the design is not congested or cluttered. It should have a balanced yet sophisticated look and appeal. Always use strong and convincing lines while writing cover letters. Do not write lines which states that you are applying for this post that you had seen in that place in the first person narrative. Instead you can emphasize upon lines which describes why you are excited to get the particular job and the reason that makes you eligible for the post. For example, if you are applying for the post of a photographer, you might state that you are a professional in this field for more than 10 years and you would like to share your skills and interest to your expanding development team. The chance is that the recruiter might be reading your cover letter and you want to get the concentration of the recruiter. Always try to be presentable in front of the hiring manger. When you already conduct a research about the organization and the problems that the organization is presently facing and can point them out, it emphasizes upon your individual value. Your amazing cover letter will describe about your knowledge of the job post and the organization. The recruiters are looking for employees who can help the organization overcome the hurdles. You are not required to answer the issues specifically but you can state about general traits which are harming the organizations in the present scenario. You can also speak about your know-how upon dealing with such problems and how to overcome them. The last point of advice for creating a perfect cover letter is to keep the cover letter short. Always choose the best cover letter template. Often application cover letters are so long that the actual value and need of the purpose is not served properly. The basic point that one should keep in mind while drafting a effective cover letter is to make it brief and readable in a single glance. Brief drafting makes the overall cover letter smart and presentable. To conclude, a perfect job application is only complete when you construct each and every aspects of it, beginning from choosing the resume templates to framing the body of the cover letter. 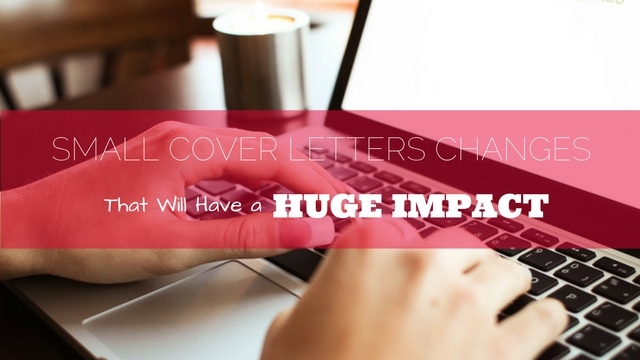 By following these points you can create a perfect cover letter and get the perfect job. About Author: This is a Guest Post by Lisa. She is a Designer by profession, has love for creativity, and enjoys writing articles for almost all topics. Also, she is a regular contributor on her some favorite topics related to Career, Web, Social Media and Self Improvement.